All tracks by Robin Rimbaud. Ash International announces the release of the first in a series of recordings which challenge the conventional notion of information ownership, and highlight the paradoxes and hypocrisies apparent in theories of copyright and patents. 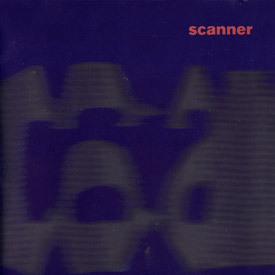 Scanner also explores the fundamentally voyeuristic nature of communication via technology, and unashamedly reveals and confronts, in often explicit ways, the fraudulent use of power between the sexes. Hear the poetry of sleaze and open up to your own bestial forces. Only then can you tame the monster within. Mundane, malevolent and bestial? Or sophisticated, tender and transcendent – you decide. WARNING! This compact disc contains material of an explicit nature. You should be warned that offence may be taken at some of the material on this recording. But you won’t be able to turn it off!